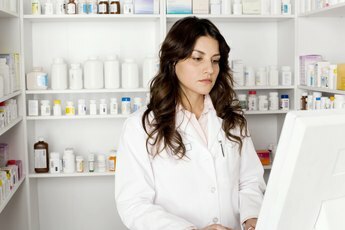 Why Do Nurses Need Computer Training? Record and research patient files online. Even hands-on occupations such as nursing need to be backed up with extensive computer experience to do the job effectively and efficiently. 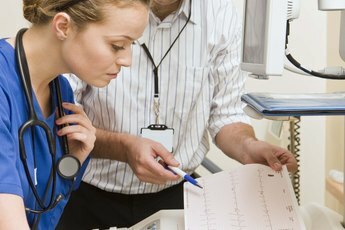 The patient’s welfare is at stake when you need to know how to operate complicated computerized testing equipment, monitor patient progress and record and retrieve data and important medical information. Then there are all the insurance filings and internal administrative work you need computers to do. Records are stored on electronic files and travel with patients from provider to provider. Without adequate training, you won’t be able to access the reports and test results patients have already had. Once you care for patients, you need to be able to record their progress, their vitals and other steps you’ve taken in the course of your care. Many hospitals, nursing homes and clinics provide laptops and electronic nurses’ stations so you can easily record your activities as they occur. You don’t even have to transfer information back at a stationary desktop computer. In most health care facilities, you need basic computer skills just to operate a blood pressure machine. Heart monitors, IV dispensers and scales all rely on computers to take measurements and keep you apprised of a patient’s condition. Depending on your specialty, you may have to operate a number of machines that require in-depth knowledge of their computerized systems. In intensive care, for example, you have a wide array of electronics beeping and glowing 24/7, and you need to be comfortable with all the computer equipment operating simultaneously. You’ll get your orders directly from the doctors over electronic messaging devices and email messages. At the same time, you’re expected to communicate with those physicians and other caregivers on a timely and sometimes immediate schedule to properly care for your patients. That immediacy is possible with computers. You’ll rely on email attachments to send blood tests and X-rays as well as communicating instructions to family members and in-home caregivers about treatment plans and instructions. If you are an in-home nurse, you really need to rely on your laptop to communicate with your agency and the caregiving team you’re a part of. Many continuing education courses are offered online. The online credits save you an enormous amount of time, and you often can take the courses at your convenience. In addition to taking the continuing education you need each year to maintain your license, with computer training, you can keep up with changes in your field more easily and take courses to further your career. For example, if you’re a working registered nurse with a two-year degree, you can take courses to get your bachelor’s online and not miss any work. The additional education then allows you to earn more money and take on additional responsibilities at work. How Can I Speed Up My CNA Work Load?